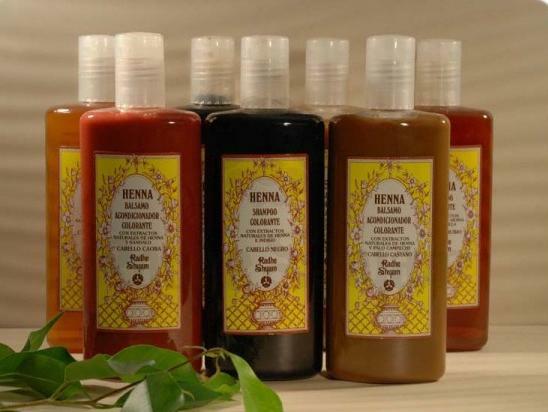 Henna colouring shampoo is recommended to extend the duration of your hair colour after application of the colour, both as paste or powder. With natural extracts of henna and sandalwood. The regular use of the colouring shampoo with natural extracts from organic farming gives a new life to your hair, with unmatched shine and texture. Ingredients: Aqua, Sodium Lauroyl Methyl Isethionate, Glycerin, Cocamidopropyl Betaine, Stearyl Dihydroxypropyldimonium Oligosaccharides, Sodium Benzonate, Parfum, Citric Acid, Potassium Sorbate, Trisodium Ethylenediamine Disuccinate, Juglans Regia Seed Extract*, Zingiber Officinale Root Extract*, Pterocarpus Santalinus Extract, Ethyl Lauroyl Arginate HCl, Sodium Hydroxide, Lawsonia Inermis (Henna) Leaf Extract. Suggested use: Apply a little shampoo in your wet hair, massage and rinse off with plenty of water. Repeat the process if necessary. 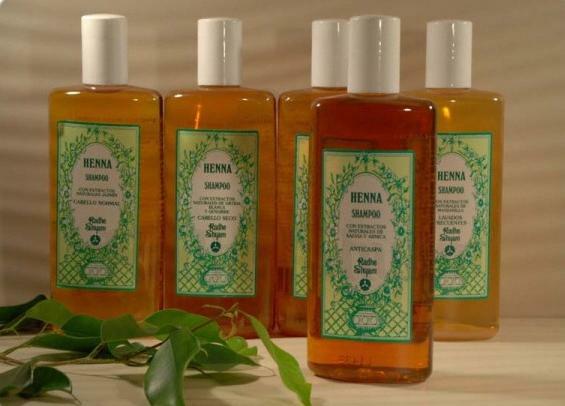 For a better result finish with a Henna Radhe Shyam conditioner. In case of contact with eyes, rinse immediately with plenty of water. Keep out of the reach of children.